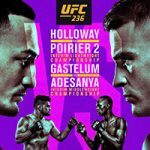 The Ultimate Fighting Championship came to State Farm Arena in Atlanta, Georgia tonight for UFC 236: “Holloway vs Poirier 2.” The event featured a long-awaited rematch between Max “Blessed” Holloway and Dustin “The Diamond” Poirier for the UFC Interim Lightweight Championship. In tonight’s featured co-main event, Kelvin Gastelum battled Israel “The Last Stylebender” Adesanya for the UFC Interim Middleweight Championship. Also at 185 pounds, “Ya Boi” Eryk Anders took on Khalil “The War Horse” Rountree. MMARising.com has live play-by-play for the main card. 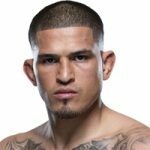 Former UFC Lightweight Champion Anthony “Showtime” Pettis made a big statement in his first foray into the UFC welterweight division on March 23rd at UFC Fight Night 148. 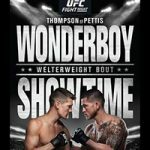 Pettis handed Stephen “Wonderboy” Thompson his first knockout loss in the main event to crack the top ten at 170 pounds. Also at welterweight, Jorge “Gamebred” Masvidal knocked out Darren “The Gorilla” Till at UFC Fight Night 147. Elsewhere at UFC on ESPN 2, Justin “The Highlight” Gaethje dispatched of Edson Barboza at 155, and Michelle “The Karate Hottie” Waterson defeated Karolina Kowalkiewicz at 115. Recent Rizin Fighting Federation title challenger Kanna Asakura returned to the win column with a clear-cut and impressive Unanimous Decision victory tonight at Deep Jewels 23 in Tokyo, Japan. Asakura defeated Deep Jewels Atomweight Champion Tomo Maesawa in the non-title 49kg main event. Asakura controlled most of the three-round matchup on the ground, where she kept Maesawa on the defensive with strikes from the top en route to a crucial rebound win. In the 68kg catchweight co-main event, popular star “King” Reina Miura needed just 25 seconds to knock out Mao Ueda. Deep Jewels showcased its 23rd all-female fight card on Saturday night at Korakuen Hall in Tokyo, Japan. Deep Jewels 23 was headlined by a 49kg catchweight bout between Deep Jewels Atomweight Champion Tomo Maesawa and former Rizin FF title challenger Kanna Asakura. In the 68kg co-feature, “King” Reina Miura took on Mao Ueda. Unbeaten flyweight Kana Watanabe squared off against Soo Min Kang, and former Jewels champion Emi Tomimatsu faced Hikaru Aono in atomweight action. MMARising.com has live play-by-play for the Deep Jewels 23 card. The Ultimate Fighting Championship returned to the T-Mobile Arena in Las Vegas, Nevada tonight for UFC 235: “Jones vs Smith.” The event featured a UFC Light Heavyweight Championship bout between reigning champion Jon “Bones” Jones and underdog challenger Anthony “Lionheart” Smith. In the co-feature, UFC Welterweight Champion Tyron “The Chosen One” Woodley put his title on the line against Kamaru “The Nigerian Nightmare” Usman. Also at 170 pounds, “Ruthless” Robbie Lawler battled “Funky” Ben Askren. MMARising.com has live play-by-play for the UFC 235 card. 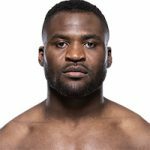 Former UFC title challenger Francis “The Predator” Ngannou picked up his second straight first-round stoppage victory on February 17th at UFC on ESPN 1. Ngannou finished one-time UFC champion Cain Velasquez in just 26 seconds and resumes his climb back up the heavyweight rankings. Elsewhere at UFC on ESPN 1, Aljamain “Funk Master” Sterling defeated Jimmie “El Terror” Rivera at bantamweight, and Cynthia Calvillo outpointed Cortney “Cast Iron” Casey at 115. At UFC 234, Israel “The Last Stylebender” Adesanya defeated Anderson “The Spider” Silva in middleweight action. 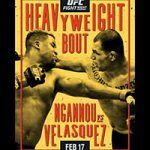 The Ultimate Fighting Championship came to Talking Stick Resort Arena in Phoenix, Arizona tonight for UFC on ESPN 1: “Ngannou vs Velasquez.” The event was headlined by a heavyweight contender’s bout between Francis “The Predator” Ngannou and returning former champion Cain Velasquez. In the lightweight co-main event, James “The Texecutioner” Vick took on Paul “The Irish Dragon” Felder. Cortney “Cast Iron” Casey battled Cynthia Calvillo in strawweight action, and Alex “Bruce Leeroy” Caceres met Kron Gracie at 145. MMARising.com has live play-by-play for the main card.